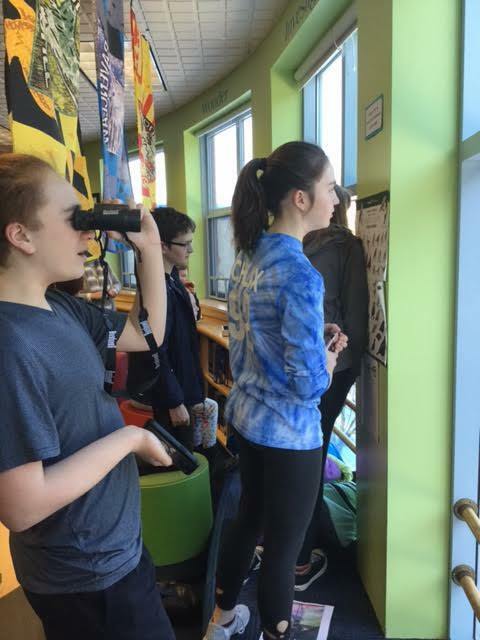 Thanks to Merry Stuhr for sharing this exciting update about the HMS Birding Club! When asked what they hoped to do in the birding club, students said that they wanted to learn more about bird species, identification, markings, and migration. They are enthused to take hikes around the school and Yarmouth to see our local birds, and possibly go on a field trip or two. They are also interested in photographing birds and keeping a birding journal. Students hope to invite guest birders to some of the meetings to share their tips and expertise. Our thanks to Tracy Weinrich and Kellie McMahon, staff members who are hosting the club with Merry. A web page for the Club (along with photos) will be found on the HMS Library's web page when it is ready.